Check your equipment. Have food jars and processing machines or equipment ready and thoroughly clean. You should be systematic and organized. Have everything in hand before you start your preservation work. Select good products. Preserve only fresh foods that are in good and perfect condition. Over-ripe, stale, or bruised foods may cause spoilage. 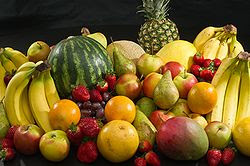 This is very important and you should pick the freshest foods possible like fresh fruits and veggies. Choose your method. Follow directions given for your particular product. Watch your time tables. A watch is handy. It will avoid under cooking or under processing. Spoilage may result from under cooking or under processing. Store foods in a cool dry place. Warm storage will bring out discoloration and change in the flavor. Heat may also hasten the activity of the bacteria that may remain in the jar and cause spoilage. Now bear these all in your mind or better still take notes of these while working on your food products so you’ll remember every important details of doing your work.